If you’re responsible for your sump pumps budget at your organization or governmental agency, you’ll want to learn more about an exceptional, cost-effective line of sump pump equipment that is manufactured by Phantom Pumps. We’re the industrial pump manufacturer with a full line of low pressure, high pressure, ANSI and slurry pumps that are cost-effective alternatives to many of the high-priced pump brands on the market. 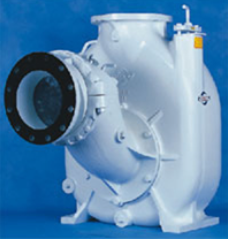 Our Phantom Pumps PL-Series pumps are the ideal pumps for dewatering, irrigation, and various sump pump applications. PL-Series models are interchangeable with many LP-Series ESCO Pumps, S-Series All Prime Pumps and T-Series Gorman Rupp pump models. In addition to reduced equipment costs, processors who replace compatible name brand sump pumps with Phantom Pumps equipment often report increased performance and efficiency at their facilities. Our pump specialists are available to cross-reference the model numbers on your current sump pump to Phantom Pumps products. Sump pumps and other Phantom Pumps parts are compatible with an array of equipment on the market, which makes it easy for in-house service departments to reduce pump-related expenses by substituting our parts on repair and maintenance services often performed on compatible pumps. Processors in Florida, Georgia, Louisiana, New Hampshire, Ohio and the surrounding states who need to purchase new pumps can always count on our Phantom Pumps team of application engineers to make valuable recommendations on the products in our line that best suit your unique applications, requirements and/or specifications. We have a global network of local distributors who provide our clients with everything from local stock of pumps and parts to installation guidance and technical support. Contact us today to learn more about the advantages of partnering with Phantom Pumps for all your pump equipment needs and/or to request quotes on sump pumps.